Windows 10 will be released in less than a week, and both users and hardware manufacturers are getting ready for it. AMD is one of many manufacturers who will release the new piece of hardware that will be compatible with Windows 10, as the company plans to unveil its new APU, A8-7670K. Upgrading to the new operating system could also be a good time for upgrading your computer’s hardware. And even if you don’t want to spend big amounts of money on your computer’s components, AMD has a solution for you, because its new APU comes for the incredibly low price of $117.99. The component is completely Windows-10 ready and it provides DirectX 12 support, as well. For those not familiar with the term “APU,” it stands for Accelerated Processor Unit and it’s basically the combination of CPU and GPU on one chip. 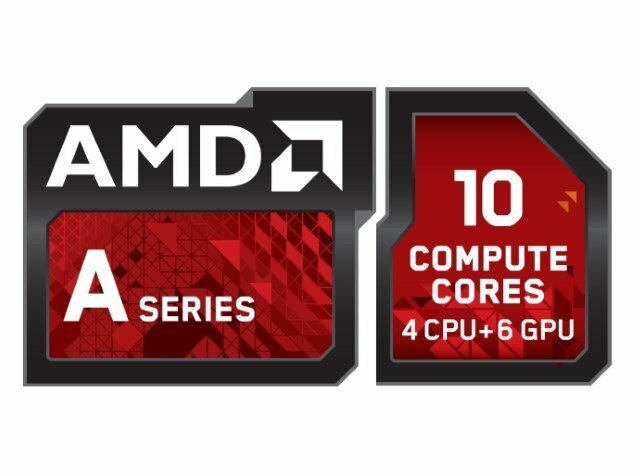 As AMD says, its APU provides excellent processing power and graphical performances for everyday using of the computer, but also for more demanding tasks, like eSports online gaming. The A8-7670K offers 10 compute cores: 4 CPU cores, at the speed of 3.9GHz and 6 GPU cores running at 757MHz. It also offers 4MB of L2 cache. AMD further said, “the A8-7670K APU also performs well in popular eSports gaming titles like Counter Strike: Global Offensive, DOTA 2, and League of Legends. We take gaming seriously at AMD which is why we put so many features into our APUs that make your gaming experience awesome, and that starts with improved gaming efficiency with support for DirectX 12. AMD FreeSync technology puts an end to choppy gameplay and broken frames. Eyefinity, multi-display technology, adds more realism and greater fields of view4. Virtual Super Resolution (VSR) improves image quality when gaming at lower resolutions. And native H.264 video encoding empowers AMD’s Gaming Evolved application to effortlessly record your gameplay”. AMD also mentioned a couple of reasons why you should buy its new APU when you upgrade your operating system to Windows 10. A8-7670K is not the most powerful processor out there, but it’s fast enough for average needs. You won’t be able to play modern games on ultra settings with this chip, but this piece of hardware is still very reasonable choice to pick, even if you want to use it for playing games, especially because of its amazing price of $117.99, which could be even less potentially. So if you want to build a new computer, or just upgrade the existing one, considering this APU as ‘the brain’ of your PC is very reasonable. Of course you should check if your motherboard is compatible with FM2+ socket, and maybe update your BIOS to add support. But even if your motherboard isn’t compatible with this APU, you could also buy an inexpensive replacement, as other components of your computer, like your RAM memory should work just fine.